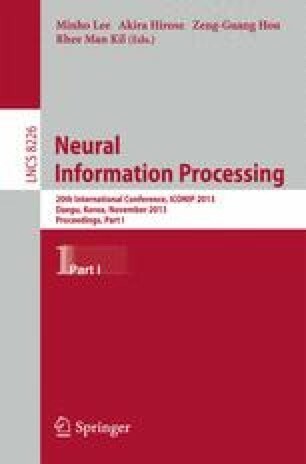 In this paper we demonstrate the coupling of an autonomous planning and control framework for whole-body humanoid motion, with a brain-computer interface (BCI) system in order to achieve online real-time biasing and correction of the offline planned motion. Using the contact-before-motion planning paradigm, the humanoid autonomously plans, in a first stage, its motion to reach a desired goal configuration or contact location. In the second stage of the approach, the humanoid executes the planned motion and the user can exert online some control on the motion being executed through an EEG decoding interface. The method is applied and demonstrated in a dynamics simulator with full collision-detection on a model of the humanoid robot HRP2.